DoorCorner.com is the best place to buy products online. We stand behind our products and guarantee your satisfaction with every order. Return your order within 30 days for a FULL REFUND*! If more than 30 days, the restocking fee will be 20%. If more than 60 days, the restocking fee will be 30%. After 90 days from the date of purchase, products are not eligible for return. Returned merchandise must be in the original packaging and in resell condition to qualify for a refund. We can not accept merchandise that has been installed or damaged. Buyer is responsible for shipping costs to return items. AVAILABILITY: Most orders ship (are sent out) directly from our supplier in 1-3 business days from the time the order is placed. In some cases, your order may even ship the same day or the following day. However, we ship directly from several different suppliers, and the number of days between when your order is placed and when it ships will vary dependent upon the time of day the order was placed and the particular supplier that it is being shipped from. SHIPMENT TIME: 3-5 days: Standard Ground shipping typically takes 3-5 days from the day the order is shipped. Because we ship directly from several suppliers, the number of days in transit depends on the location that your items are being shipped from, as well as your location. 3-5 days in transit is typical, but can vary dependent on your location in proximity to the location where your items are being shipped from. DoorCorner.com is not responsible for any labor costs incurred as the result of a shipment that exceeds these estimates. SHIPMENT METHOD: We use FedEx, UPS, and USPS shipping services, at our discretion. Please be aware that many orders ship from multiple locations. Therefore, orders with more than one item may ship separately, and arrive at different times. TRACKING INFORMATION: You will receive an email with a tracking number after your items have shipped. We do our best to update your order with the tracking information as quickly as we can. Occasionally, your order may have shipped, and we have not yet updated your order with a tracking number. If you have not received a tracking number withing 3 business days of placing your order, please contact us at doorcorner@gmail.com. INTERNATIONAL SHIPPING / EXPEDITED SHIPPING: In order to keep our prices as low as possible, we do not currently ship outside of The United States, or offer expedited shipping. *For orders less than $149.00, shipping will be a flat rate of $4.95, regardless of weight. FREE SHIPPING is offered on orders over $149.00. If you receive a product that has been damaged or is defective, please contact us within 7 days of receiving your order. At DoorCorner.com, we understand that a product may get damaged in transit or, on occasion, there may be a manufacturer product defect. Rest assured, we will stand by you during this process and make sure we do everything we can to bring it to a satisfying and timely conclusion. For us to offer this level of service, however, we need a little help from the customer in the form of a detailed product inspection immediately upon delivery. This will make things much easier if you decide to return the item. If, for any reason, your shipment is not satisfactory, we will gladly replace it or accept a return of the merchandise. DoorCorner.com is not responsible for any labor costs incurred as the result of the shipment or installation of incorrect, damaged, or defective parts. If you receive a product that is incorrect, or you receive the incorrect quantity of an item, please contact us within 7 days of receiving your order. Please inspect your shipment immediately upon receipt. If, for any reason, your shipment is not correct, we will correct it as quickly as possible. However, we will use Standard Ground shipping when correcting your order, and will not use Expedited Shipping to make the correction. DoorCorner.com is not responsible for any labor costs incurred as the result an incorrect shipment. DoorCorner.com is not responsible for shipments that have been lost or incorrectly delivered by USPS, UPS, or FEDEX. You can also cancel items that have not been shipped yet. To cancel an order that has not yet shipped, please email sales@doorcorner.com. Once an item or an order has been shipped it can not be canceled, and you will have to process a general return. Items on backorder are charged at point-of-sale in full, just as immediate-shipment items. This is to reserve an item from the manufacturer, in some cases, actually producing it on demand. A refund can be issued if the item is successfully cancelled (*See below for info on cancellation). Notify you by email which items are on backorder and the estimated ship date. This email is sent within 24 hours of the order being placed. As the estimated ship date approaches (within 1-2 days of the ship date) we verify with the shipping warehouse or manufacturer that the date is still correct. If the manufacturer has a delay, we update the backorder date and again notify you by email. Production for some specialty items do happen - we apologize in advance, but we will do everything to help you get your products as soon as possible. Backordered items can be cancelled if they are confirmed as not-shipped. Items that have left the production (manufacturer) or original storage facility can no longer be cancelled as title is considered as passed to the customer. If you need to cancel a backordered item, please contact customer service and we will attempt to halt shipment of the product. A confirmation email or phone call will be made to confirm the cancellation and subsequent credit or change to your order. Please note that in most cases we send notification by email. To ensure you receive all communication and that our order-notification emails are not caught by SPAM-filters, please add doorcorner@gmail.com to your safe-list or address book. Also, our call center and specialist staff, stand ready to answer any inquiries or assist in helping with your order. Credit Cards: - We accept most major credit cards (including Visa, MasterCard, Discover, and American Express). This site is provided as a service to our customers subject to the following conditions. Please note that your use of this website constitutes your unconditional agreement to follow and be bound by these Terms and Conditions. Although you may "bookmark" a particular portion of this site and thereby bypass this agreement, your use of this site still binds you to the Terms. Please review our Security and Privacy Notice, which also governs your visit to doorcorner.com sites, to understand our practices. When you visit doorcorner.com or send e-mails to us, you are communicating with us electronically. You consent to receive communications from us electronically. We will communicate with you by e-mail or by posting notices on this site. You agree that all agreements, notices, disclosures and other communications that we provide to you electronically satisfy any legal requirement that such communications be in writing. All content included on this site, such as text, graphics, logos, button icons, images, audio/video media, digital downloads, data compilations, and software, is the property of doorcorner.com, or its content suppliers. The compilation of all content on this site is the exclusive property of doorcorner.com. 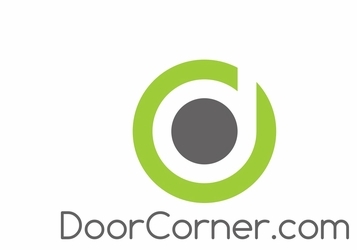 Doorcorner.com grants you a limited license to access and make personal use of this site and not to download (other than page caching) or modify it, or any portion of it, except with express written consent of doorcorner.com. This license does not include any resale or commercial use of this site or its contents; any collection and use of any product listings, descriptions, or prices; any derivative use of this site or its contents; any downloading or copying of account information for the benefit of another merchant; or any use of data mining, image stripping, robots, or similar data gathering and extraction tools. This site or any portion of this site may not be reproduced, duplicated, copied, sold, resold, visited, or otherwise exploited for any commercial purpose without express written consent of doorcorner.com. You may not frame or utilize framing techniques to enclose any trademark, logo, or other proprietary information (including images, text, page layout, or form) of doorcorner.com, and our affiliates without express written consent. You may not use any meta tags or any other "hidden text" utilizing doorcorner.com�s name or trademarks without the express written consent of doorcorner.com. You may not use any direct linking or source-calling of any media presented on this web site. Any unauthorized use terminates the permission or license granted by doorcorner.com. You are granted a limited, revocable, and nonexclusive right to create a hyperlink to the home page of doorcorner.com so long as the link does not portray doorcorner.com, its affiliates, or their products or services in a false, misleading, derogatory, or otherwise offensive matter. You may not use any doorcorner.com logo or other proprietary graphic or trademark as part of the link without express written permission. Doorcorner.com does not sell products to children, but to adults who can purchase with a credit card or other certified payment method. If you are under 18, you may use doorcorner.com only with consent of a parent or guardian. Doorcorner.com reserves the right to refuse service, terminate accounts, remove or edit content, or cancel orders in their sole discretion. If you do post content or submit material, submit suggestions, ideas, comments, questions, or other information, the content must not be illegal, obscene, threatening, defamatory, invasive of privacy, infringing of intellectual property rights, or otherwise injurious to third parties or objectionable or consist of or contain software viruses, political campaigning, commercial solicitation, chain letters, mass mailings, or any form of "spam." You may not use a false e-mail address, impersonate any person or entity, or otherwise mislead as to the origin of such content. Doorcorner.com reserves the right (but not the obligation) to remove or edit such content, but does not regularly review posted content. If you do post content or submit material, and unless we indicate otherwise, you grant doorcorner.com a nonexclusive, royalty-free, perpetual, irrevocable, and fully sublicensable right to use, reproduce, modify, adapt, publish, translate, create derivative works from, distribute, and display such content throughout the world in any media. You grant doorcorner.com and sublicensees the right to use the name that you submit in connection with such content, if they choose. You represent and warrant that you own or otherwise control all of the rights to the content that you post; that the content is accurate; that use of the content you supply does not violate this policy and will not cause injury to any person or entity; and that you will indemnify doorcorner.com for all claims resulting from content you supply. Doorcorner.com has the right but not the obligation to monitor and edit or remove any activity or content. Doorcorner.com takes no responsibility and assumes no liability for any content posted by you or any third party. All items purchased from Doorcorner.com are made pursuant to a shipment contract. This means that the risk of loss and title for such items pass to you upon our delivery to the carrier. At doorcorner.com, we understand that a product may get damaged in transit or, on occasion, there may be a manufacturer product defect. Please be assured, that we will stand by you during this process and make sure we do everything we can to bring it to a satisfying and timely conclusion- at no expense to you. For us to offer this level of service, however, we need a little help from the customer in the form of a detailed product inspection immediately upon delivery. This will make things much easier if you decide to return the item. Any items you receive that are not in the condition of sale are to be promptly reported to doorcorner.com. Should you wish to return any items please refer to our RGA Return policy. Please note that returned items must be in perfect condition ready for resale to be eligible for a refund. Despite our best efforts, a small number of the items in our catalog may be mispriced. In the event that an item is mispriced, doorcorner.com may, at our discretion, either contact you for instructions or cancel your order and notify you of such cancellation. Prices and availability are subject to change without notice. Doorcorner.com reserves the right to limit the quantity of items purchased per person, per household or per order. These restrictions may be applicable to orders placed by the same the same payment account and also to orders that use the same billing and/or shipping address, or same email address. We will provide notification to the customer e-mail and/or billing address provided should such limits be applied. Doorcorner.com also reserves the right to prohibit sales to dealers. If you are interested in purchasing multiple quantities of items for a corporation or institution, please contact us through our Customer Service. Doorcorner.com attempts to be as accurate as possible. However, doorcorner.com does not warrant that product descriptions or other content of this site is accurate, complete, reliable, current, or error-free. If a product you purchase from us is not as described, your sole remedy is to return it in unused condition. We have also made every effort to display as accurately as possible the colors and finishes of our products that appear on the site. However, as the actual colors you see will depend on your monitor, and we cannot guarantee that your monitor's display of any color or finish will be accurate. You agree to defend, indemnify and hold doorcorner.com harmless from and against any and all claims, damages, costs and expenses, including attorneys' fees, arising from or related to your use of the site. THIS SITE IS PROVIDED BY DOORCORNER.COM ON AN "AS IS" AND "AS AVAILABLE" BASIS. DOORCORNER.COM MAKES NO REPRESENTATIONS OR WARRANTIES OF ANY KIND, EXPRESS OR IMPLIED, AS TO THE OPERATION OF THE site OR THE INFORMATION, CONTENT, MATERIALS, OR PRODUCTS INCLUDED ON THIS site. TO THE FULL EXTENT PERMISSIBLE BY APPLICABLE LAW, DOORCORNER.COM DISCLAIMS ALL WARRANTIES, EXPRESS OR IMPLIED, INCLUDING, BUT NOT LIMITED TO, IMPLIED WARRANTIES OF MERCHANTABILITY AND FITNESS FOR A PARTICULAR PURPOSE. WITHOUT LIMITING THE FOREGOING, DOORCORNER.COM DISCLAIMS ANY AND ALL WARRANTIES, EXPRESS OR IMPLIED, FOR ANY MERCHANDISE OFFERED ON THIS WEB SITE. YOU ACKNOWLEDGE, BY YOUR USE OF THE DOORCORNER.COM WEB SITE, THAT YOUR USE OF THE WEB SITE IS AT YOUR SOLE RISK. THIS DISCLAIMER DOES NOT APPLY TO ANY PRODUCT WARRANTY OFFERED BY THE MANUFACTURER OF THE ITEM. THIS DISCLAIMER CONSTITUTES AN ESSENTIAL PART OF THIS AGREEMENT. UNDER NO CIRCUMSTANCES AND UNDER NO LEGAL OR EQUITABLE THEORY, WHETHER IN TORT, CONTRACT, STRICT LIABILITY OR OTHERWISE, SHALL DOORCORNER.COM OR ANY OF ITS EMPLOYEES, DIRECTORS, OFFICERS, AGENTS, VENDORS OR SUPPLIERS BE LIABLE TO YOU OR TO ANY OTHER PERSON FOR ANY INDIRECT, SPECIAL, INCIDENTAL OR CONSEQUENTIAL LOSSES OR DAMAGES OF ANY NATURE ARISING OUT OF OR IN CONNECTION WITH THE USE OF OR INABILITY TO USE THE THIS WEB SITE, INCLUDING, WITHOUT LIMITATION, DAMAGES FOR LOST PROFITS, LOSS OF GOODWILL, LOSS OF DATA, WORK STOPPAGE, ACCURACY OF RESULTS, OR COMPUTER FAILURE OR MALFUNCTION, EVEN IF AN AUTHORIZED REPRESENTATIVE OF DOORCORNER.COM HAS BEEN ADVISED OF OR SHOULD HAVE KNOWN OF THE POSSIBILITY OF SUCH DAMAGES. IN NO EVENT WILL DOORCORNER.COM BE LIABLE FOR ANY DAMAGES IN EXCESS OF THE FEES PAID BY YOU IN CONNECTION WITH YOUR USE OF THE SITE DURING THE SIX MONTH PERIOD PRECEDING THE DATE ON WHICH THE CLAIM AROSE. SOME STATES DO NOT ALLOW LIMITATIONS ON HOW LONG AN IMPLIED WARRANTY LASTS, SO THE FOREGOING LIMITATIONS MAY NOT APPLY TO YOU. Please review our other policies, such as our pricing policy, posted on this site. These policies also govern your visit to this website. Doorcorner.com reserves the right to update or modify these Terms and Conditions at any time without prior notice. Your use of the doorcorner.com web site following any such change constitutes your unconditional agreement to follow and be bound by the Terms and Conditions as changed. For this reason, we encourage you to review these Terms and Conditions whenever you use this Web site. Use of this website implies your acceptance of all terms and policies as described above.